Recent Posts How Much Do Exam Lights Cost? Way back in 1981, Meditek started out remanufacturing surgical tables. As a natural progression, Meditek expanded its role to include distribution of medical products. Surgical and exam lights were one of the first products on the list. 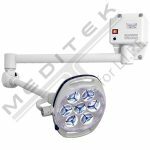 Since then, Meditek has not only provided new exam and surgical lights for hospitals and healthcare facilities, but also remanufactured more than a few along the way. Unlike surgical tables, where technological advances are somewhat slower, exam lights change more frequently. 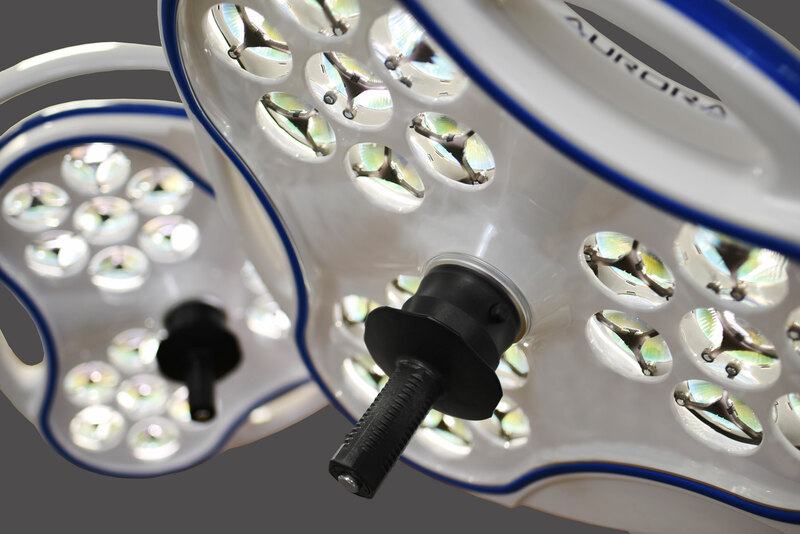 Procedure lights are getting brighter, lasting longer and including more functionality. With all these changes, it’s hard to keep track of how much exam lights cost from one year to the next. In this article, we are going to break down the price of exam lights for your patient exam rooms and arm you the necessary knowledge to make an informed purchase. The first and most important factor in determining how much procedure lights cost is whether the light source is halogen or LED. There are some major differences between the two and while very different, there remain advantages to buying halogen exam lights. As LED medical lighting becomes more commonplace, halogen lights will still be relevant enough for the next few years that getting parts and replacement bulbs will not be a problem. 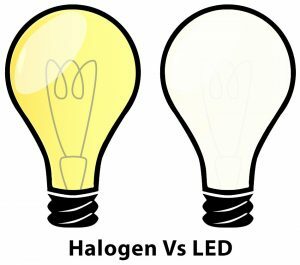 Additionally, as more facilities move over to LED lights, buying pre-owned halogen procedure lighting becomes cheaper. For most healthcare professionals, these are probably the two most important factors in a light, apart from whether it’s halogen or LED. This is the measurement in Kelvin of daylight. The closer the color temperature your exam light has to daylight, the whiter, brighter it’s going to be. 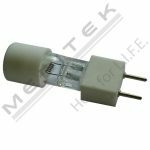 Typically, halogen lights average around 4000°K, although you can find some with higher color temperatures. The problem is that with halogen, heat and colour temperatures are synced. As one increases or decreases, the other does as well. LEDs, on the other hand, work independently when it comes to heat and colour. LED exam lights, on average, hover between 4300°K and 4500°K. When examining a patient, the last thing you want to have happen is someone getting hurt. As a healthcare professional, you want to be able to focus on what you’re doing and what the patient is saying or doing. With LEDs, you don’t have to worry about touching the light in the wrong place and getting burned. There’s virtually no risk for it to cause a fire if it comes into contact with any type of combustible material. The type of exam light will greatly affect the cost. As the name implies, mobile lights are lights mounted to a moveable wheeled stand. Do you need to move your light from room to room, or is it going to be stationary? Perhaps, if you’re a smaller facility, mobile procedure lights might make more sense. What are the castors/wheels like? Are they big or small? How many are there? All of these will affect how easily the light stand transports. How heavy is it? This one is a bit of a double-edged sword. You want the mobile light to have some weight so that it’s not easy to knock over, but at the same time you don’t want it so heavy that you need to struggle with it. How is the base of the stand designed? Every design will be different, and who is to say that they are all equally stable? Is it so big and intrusive that it becomes inconvenient? 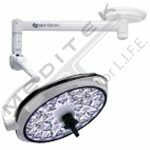 Say you want to put a procedure light in every patient exam room, but you don’t want the hassle of configuring any type of hanging supports from the ceiling. Wall mounted lights might be your best option. One thing to keep in mind with wall-mounted lights is that your room design should be pre-planned with knowing what the reach of the lights is. Otherwise, if you want to change it later, finding an ideal location might prove challenging. Ceiling mounted lights give you a little more leeway when it comes to configuration. Unlike mobile and wall mounted, ceiling mounted lights give you the option of going with more than one light head. While three light heads are rare, most configurations are one or two light heads. Ceiling mounted lights can also be larger and more powerful because they have a rigid structure supporting them. Obviously, we could go on and on about this and that, but the goal of this article is to get you the main information you need in order to price out your new exam lights. But before we go any further, we just wanted to mention these factors that you should also take into account. LUX: This is the measurement of intensity. Very important to note is that vendors should give you two numbers when describing LUX. Measurement of LUX and distance it was measured at. For example, if a light vendor ever tells you only that a light has 160,000 LUX, how would you know from what distance. Sure, it may have that, but is that at 15 cm or 1 m? Ergonomics: How the light moves is just as important as how easy it is to maneuver. Are the handles in a convenient location? How far is the reach? Light adjustability: Is the light intensity adjustable. If so, what is the range of dimming/brightness? Is it in pre-set intervals or freely adjustable? Where is the control located? Is it easy to adjust quickly? Material: Lights are expensive, and you want them to last. Inevitably, things are going to crash into the arms and light heads. You want to make sure that the material is able to take a bit of abuse without getting easily damaged. The other part of this is the quality of the internal mechanisms that control the rotation, but that’s a bit harder to distinguish. Color rendering (CRI): For anyone who doesn’t know, CRI is the light’s ability to show the subject in its actual color. Some lights with a low CRI may not show something as red as it actually is, for example. Average color rendering is between 95 and 96. Shadow reduction: Sounds pretty straight forward, right? Well, not really. See, the shadow dilution is the ability of a light to minimize the effect of obstructions and is measure as a percentage. There are two shadows: good and bad (so much for a highly technical article, eh!). Bad shadows are Contrast. They result from obstructions, such as hands or instruments. This is when you should look for a light that has high shadow dilution. Good shadows are Contoured. They help the surgeon differentiate between fine tissue striations and vasculature. Due to their design, halogen lights have a higher chance of creating hot and cold spots in the light field. Whereas with LEDs, it doesn’t matter how many LEDs you block, the spot usually remains round and consistent. If you’ve made it this far, you already know what I’m going to say. When buying a halogen exam or procedure light, you will have to budget for replacement lights. With LEDs, the chance of bulbs needing replacing before the light fixture is outdated is super slim. But if LED bulbs ever do need replacement, it is going to be expensive. As with all major purchases, these are things that will also affect your final price tag. Make sure you understand what’s included in the warranty and what’s extra. If you know that you’re buying the light for the long-term, maybe think about adding post-warranty coverage at the time of sale. Do you need your new lights installed by others? If so, has the supplier given you a price for installation? If you’re going with ceiling mounted lights, is there a support structure in place for the light? If not, who is responsible to provide a mount for the new light? There are a lot of questions really when it comes to installation. Questions need to be asked about electrical requirements, the electrical hook-up, assembling the light and mount structure testing. Need help? Fill in the form below and we’ll be glad to send you an installation checklist guide. 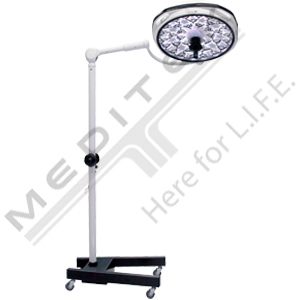 Meditek offers new and remanufactured lighting products of both halogen and LED. 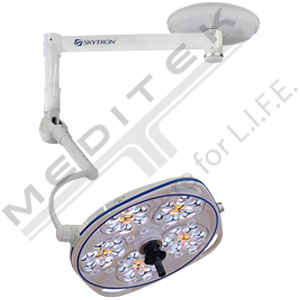 Our new lighting products come from reputable manufacturers such as Skytron and Burton. As Canada’s leading remanufacturer, we can offer a wide range of lights at a fraction the cost of new. Each of our ReNew remanufactured products comes with a 2 year parts and labour warranty, which is a testament to our quality work. Below, we’re going to give you the ball park prices for exam lights, but please keep in mind that everything you just read, along with brand and model, will affect the accuracy of those prices. Halogen Bulb Replacements are normally between $100 and $200, with the average being about $180. Please keep in mind that there are too many variables to really list here what is what, but you can get a very accurate price by contacting us below.